ZANU-PF MPs have complained that their party has sidelined them for the past four years warning that this could prove costly to President Robert Mugabe, come elections. In separate interviews, several MPs said there were fears that the forthcoming elections could see another “bhora musango” (ball off course), a term used to describe individual party officials who campaign for themselves while de-campaigning Mugabe. This strategy, widely used in the 2008 elections, saw Mugabe losing Presidential elections to Prime Minister Morgan Tsvangirai even in several constituencies won by Zanu PF candidates. The Zanu PF legislator said MPs have repeatedly questioned several major deals including those to do with mining and the Chisumbanje ethanol project because they felt sidelined. “They are busy allocating themselves lots of farms and mines, while ignoring us. That is why we are not happy,” said the legislator. He said the MPs were disheartened to learn that cabinet ministers from both Zanu PF and the MDCs would get a golden handshake at the expiry of the GNU in the coming months. Another MP said a number of his colleagues had formed consortiums with the aim to enter into different ventures including mining of diamonds, gold and other minerals, but had either been blocked or turned down. Another MP said Zanu PF should not take comfort on the fact that the MDC-T might have lost some of its support base as shown by most opinion surveys. “Whenever I have issues which I want to bring to the attention of the President, I write to him directly either through his chief secretary or the party structures,” said another legislator. Zanu PF spokesperson, Rugare Gumbo also said the MP’s had no right to demand direct access to Mugabe. “What access do they want when there are cabinet ministers who they can approach with their specific issues?” he asked. Gumbo said MPs should also instead approach Zanu PF secretary for administration, Didymus Mutasa who also doubles as Mugabe’s special affairs ministers for issues they want to bring to the attention of their 89-year leader. Zanu PF parliamentary chief whip, Joram Gumbo could not be reached for comment. One of the disgruntled legislators said the MPs were not happy that Mugabe was not directly interfacing with them. 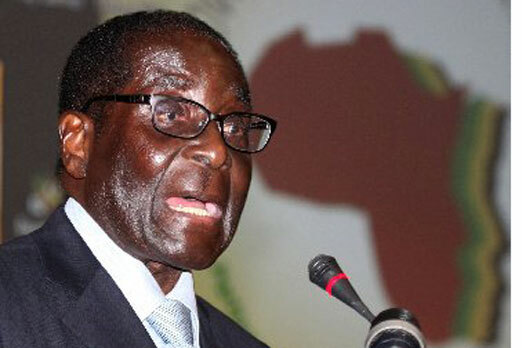 He said if one was not a cabinet minister, or either a politburo or central committee member, there was no other avenues they could directly communicate with Mugabe. “Our feeling is that Mugabe is not paying attention to us MPs as he is only interested in the politburo and the central committee. They are forgetting that we are not appointees, but directly elected by the people,” said the MP. The MPs said their last serious caucus was last year where they were given a “lecture” by vice-President Joice Mujuru. “They do not want to listen to us, as to them we are not that important. They only use us when it is time to endorse certain issues,” said the parliamentarian. Mugabe looks dead. He is a Zombie. But the eyes look like he has already died!